CRFC3: In Source Code, Jake Gyllenhaal plays soldier Colter Stevens who finds himself in an experimental computer simulation, taking on the life of another in a desperate attempt to find the person who bombed a commuter train in Chicago. This is the third installment in the Constructed Reality Film Club. Previously we've also watched eXistenZ and Strange Days. The club is moving from bi-weekly to weekly, and next monday we'll be discussing the beautiful animated movie Paprika. This film isn't available for Instant or Prime streaming, unfortunately. However, there is a rental available from Amazon. The original NYT review of the movie. What's up with that ending? IndieWire has some ideas. As does Gyllenhaal and the director, Duncan Jones. OverThinkingIt also does what its title claims and provides analysis. the top falling over, Cobb wondering over and saying "Yup, this is definitely not a dream anymore!" I saw this movie some time ago, and was all "the ending is going to be a cop-out", and yeah it was so. Just like The Adjustment Bureau. Yeah, I think it's a really solid movie up until that ending. I think the major reason it doesn't work is that there's no real indication that there's interaction between the top-level reality and the simulation up until that point. So Colter's text getting through comes out of nowhere, and is jarring for the audience. All of that is handwaved with QUANTUM PHYSICS as the explanation. Overall I still liked the film. It's a twist on the Groundhog Day formula, about a guy slowly iterating a single day in an attempt to get it right. It's also a pretty competent action movie. I have no observations of any intellectual depth here. I just wanted to say that when I went to the US, I made sure to go to Chicago, to see "the Bean" because of this movie. And Chicago was totally awesome! Hey, at least in most of these movies the studio makes the producers screw everything up at the end. In Dark City (which this group should totally do) they wrecked the whole movie in the initial voiceover. If you somehow haven't seen Dark City and intend to, turn down the volume until you see a clock. Yep, Dark City is on the docket. I've been trying to vary stuff, and with it going to a weekly format I think it will be easier to get all kinds of movies in. Just as a reminder, Paprika is next Monday on the 17th. I came into this thread to say exactly this. I didn't have an issue with the stutter-end because my viewing of the film was hugely influenced by PERMUTATION CITY by Greg Egan, which fiddles with the observer effect in quantum physics to imply that simulated intelligence is self-perpetuating. 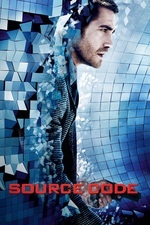 I highly recommend it if you find the multiple universes thing in Source Code to be interesting. And as far as that Inception spoiler, it doesn't really track anyway. Just watched this on the weekend. I'm inclined towards the IndieWire view of things, and had handwaved away the inconsistent science with "well Dr Science is just telling a quick lie/oversimplification cos he wants Captain Whatsisface to get on with the job". It's always nice to watch Jake Gyllenhaal and overall I enjoyed the movie. I thought it was well-acted - the characterisation in the script was light, but Gyllenhaal, Monaghan and Farmiga added a lot of charm so that I did actually care about the characters. Did anyone else think it echoed some of the elements from Duncan Jones' previous movie, Moon? Also has Moon been discussed here, or is it planned to be? I loved this movie. I also didn't mind the ending. Maybe it could have been handled differently, but if you stop the film at the 'freeze' scene, I think you lose the information that each iteration of the train sequence actually spawned a new timeline, and that the creators of the Source Code program didn't realize they were toying with real lives. That adds a new layer to the film. Maybe some people thought it was better without that information? Or was it more the way the scenes were handled? Like phearlez, I'm a Greg Egan fan, and although I haven't yet read Permutation City, it makes sense to me to view this as an Egan-type universe. I agree with others that it's a great sci-fi action movie. I really enjoyed the performances, especially the interactions between Gyllenhaal and Farmiga. Well you'd leave it deliberately ambiguous, which I feel like would have been a superior way to end the film: as it turns out we instead get an exposition dump which is such a weak way to finish any film [for other examples, see the magic psychiatrist in Psycho]. Yeah I'm a fan of ambiguous endings. The post-freeze-frame section is part of what makes this a more mainstream movie than Moon, along with the military aspect and referencing a specific war zone (which ties it to a time-and-place more securely). But I do like the multiple timelines / science not always getting the results it was aiming for take enough to put up with a more sentimental ending. Source Code 2: The Sourcening is happening. Maybe it'll START with some stutter-stop. Looks like nobody's coming back but the screenwriter. Just saw this last night with a good friend and as soon as the credits started rolling we turned to each other and simultaneously said "that was great except for the post-freeze frame part." I agree that ending it at the freeze-frame would be better, mostly because the postscript lets everyone off the hook in terms of the morality of their own behavior. Pre-freeze frame, Rutledge is a morally ambiguous character, on one hand a megalomaniac so focused on justifying his project that he is willing to repeatedly torture a soldier who never agreed to this mission, on the other someone who is trying to save millions of lives. Similarly, Goodwin is complicit in torture she clearly knows is wrong, but also sympathetic and tough enough to take the difficult decision to let Stevens die. These are relatively complex, morally ambiguous characters, engaged in a project that is also morally ambiguous: how far is the Source Code program willing to go in terms of torturing soldiers in order to possibly save civilian lives? With the postscript? Well, then, everyone is a hero, Source Code is an unquestioned success, and Stevens both lives happily ever after and sanctions his own continued torture. Well I dunno. The postscript suggests some slightly disturbing consequences. Each time the machine is run, it basically creates a parallel universe in which Stevens inhabits this guy on the train's body. In each one except the last, the train explodes, killing hundreds. In each on of those, the source code project presumably exists, and presumably does exactly what the source code does in the original universe. In other words, this project has managed to spawn a self propagating infinity of universes in which a terrorist atrocity occurs. The ending is bothering me on an individual level as well. The man Christina fell in love with, a little bit at a time over so many commuter trips - that sensitive, patient history teacher - is dead, killed by our hero, and that doesn't appear to bother him even a little.